According to a Post on Facebook Known Issues Page, Facebook has removed the ticker apparently motivated the social network to call the phenomenon a bug that’s undergoing a fix. 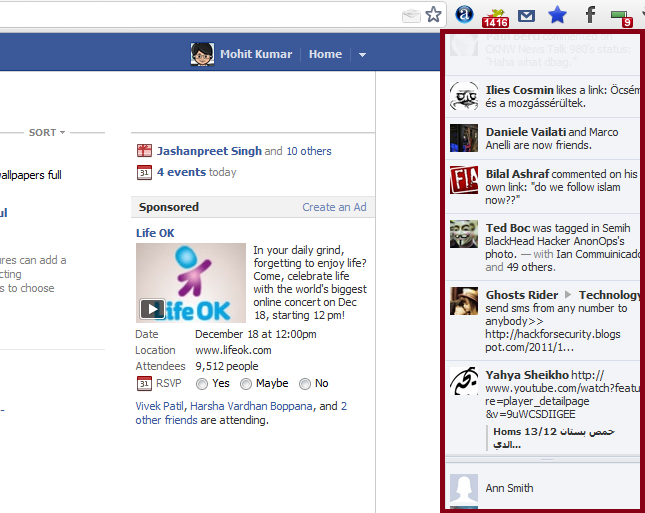 Facebook says that "Some people are seeing their ticker disappear. We are aware of this issue and are working to resolve it.". Comments explaining that people with less active accounts won’t see the feature, Because when your friends aren’t doing anything on the site, the ticker would only duplicate the news feed and not scroll, so there’s no point in the feature taking up part of your screen. Not even this, Last month a Brazilian (independent) Security and Behavior Research had analyzed a privacy issue in Facebook Ticker that allows any person chasing you without your knowledge or consent .How Facebook Ticker exposing your information and behavior without your knowledge. Meanwhile, the Known Issues on Facebook page posted that some people aren’t seeing the ticker who should be, and that the site is working to fix this glitch and developers continues to refine the ticker, alternately testing labels for the feature along with shifting its location and size. If you want to share more Ticker related Issues with us, Just Tweet us or Comment on Google+ Page.